Very Good. 0312127340 ALL BOOKS SHIPPED WITHIN 1 DAY OF PURCHASE! Very Good. 208 p. B&w photographs & diagrams throughout. Demonstrates how good use of the body can make a world of difference to both rider and horse. Through the use of creative images, and a knowledge of human and equine anatomy, this work enables the conscientious equestrian to reassess habitual responses in order to ride in natural positions, and achieve ever-rising goals with comfort. Good. 208 p. B&w photographs & diagrams throughout. Demonstrates how good use of the body can make a world of difference to both rider and horse. Through the use of creative images, and a knowledge of human and equine anatomy, this work enables the conscientious equestrian to reassess habitual responses in order to ride in natural positions, and achieve ever-rising goals with comfort. This is a wonderful book for any rider, especially one learning how to manage his/her body while on horseback. What can I say? 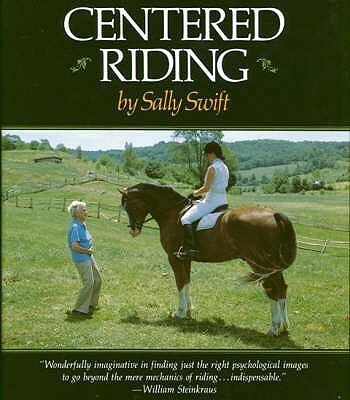 This book was written by the originator of the Centered Riding concepts! It is phenomenal and a proven method to succeed in providing knowledge and practical theory to help anyone become a better rider. Absolutely a must for all riders regardless of ability!